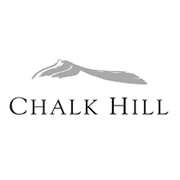 The Chalk Hill Estate Chardonnay captures the vibrant, complex and classic character of our estate-grown grapes. We are dedicated to making exceptional Chardonnay, and no detail is overlooked. This Chardonnay exhibits beguiling aromas of limes, orange blossoms, peaches and toasted almonds with a bit of spice from the barrels. Flavors of red apples, pears and cream follow. Our Chardonnay is known for its long, rich and elegant finish, and this vintage is no exception.